The Slovak economy is posting its best results in employment, economic growth and domestic demand since the global economic crisis, Finance Minister Peter Kažimír said in response to the spring forecast the European Commission introduced May 6. It increases the forecast of the Slovakia’s economic growth for 2015 and 2016 and cites low oil prices, weakening of the euro and rising domestic production as behind the positive forecast. 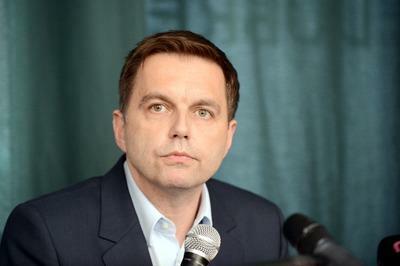 “From the viewpoint of the economic development this period is one of the best since the beginning of the crisis in 2009,” said Kažimír, adding that the government keeps pushing through set consolidation plans based on which the public finance deficit should decreased below 2 percent of GDP. The minister added that the increased forecast attests to the character of growth of the Slovak economy, as it has been propelled primarily by domestic consumption for a few months now. “That is essentially a safer driving force than foreign demand,” Kažimír said, adding that everybody, both in Slovakia and abroad, is aware of the risks stemming from geopolitical factors. While in its autumn forecast the European Commission decreased the forecast for Slovakia’s economic growth by 0.6 percentage points to 2.5 percent for 2015, it has now increased it to 3 percent. Next year is looking more optimistic too when the EU increased its growth forecast by 0.2 percentage points to 3.4 percent. After three consecutive years of decline, private consumption rebounded in 2014 to expand by 2.2 percent in real terms, driven by growing real disposable income, higher employment and improving consumer confidence. “These factors are expected to continue to sustain private consumption growth, which could also be bolstered by a series of labour market reforms that have taken effect in 2015, including a rise in the minimum wage and a reduction in the social contributions paid by low-income workers,” reads the forecast. Private consumption is therefore expected to grow by 2.4 percent in 2015 and 2.7 percent in 2016. Slovakia will rank among the eurozone’s and the EU’s top countries in terms of economic growth in 2015 and 2016. The economic growth for the EU is forecast at 1.8 percent for 2015 and 2.1 percent for 2016. Slovakia’s growth is forecast to be the fifth highest in the EU. The prognoses point to an economic revival and are optimistic for the EU and the eurozone alike. In 2014 Slovakia came in sixth in the eurozone and 10th in the EU in GDP growth (on 2.4 percent). Ireland fared the best last year (4.8 percent), with Cyprus doing the worst (minus 2.3 percent). The growth in employment in Slovakia was strong throughout 2014 and labour market conditions are expected to further improve, in line with the upturn in economic activity, according to the EC forecast. The unemployment rate fell from 14.2 percent in 2013 to 13.2 percent in 2014 and is expected to continue declining. The labour market reforms that came into force in 2015, including a reduction in the healthcare contributions of low-income workers and an expansion of in-work benefits, should further support the labour market’s recovery. The forecast estimates Slovakia will see 12.1 percent unemployment in 2015 and 10.8 percent in 2016. However, Slovak experts and economists do not regard such a steep drop as realistic, pointing to persisting long-term unemployment. ČSOB analyst Marek Gábriš pointed to problems to tackle long-term unemployment and youth unemployment and Michal Páleník of the Employment Institute cited the increasing number of people who are jobless more than three years.